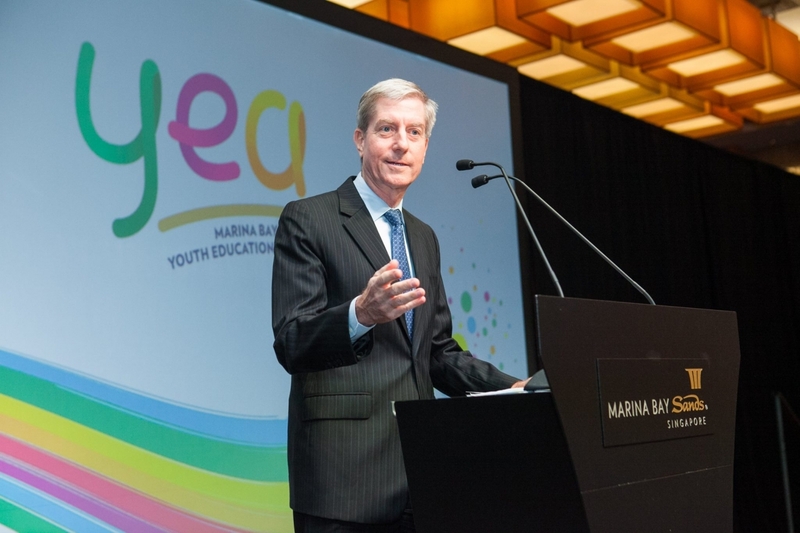 The Marina Bay Sands 2017 Youth Education Award is an annual event that rewards and recognizes the excellent academic performance of Team Members’ children. The award is given out to inspire students to achieve outstanding academic performance. Launched in 2013, the Youth Education Award is an exclusive Team Member benefit that helps Team Members and their families directly. Given the rising education costs in Singapore, this year’s recipients enjoyed an increased award subsidy. Categories are based in education levels: primary, secondary and pre-tertiary levels. The award application was opened to all confirmed, full-time Operations Team Members with children enrolled in a full-time local government, government-aided or independent school and is awarded based on academic results. This year, 260 awards and 5 CEO Book Prizes were given out during the award ceremony held in December. Primary level recipients received $300 SGD ($226.73 USD) per child, secondary received $550 SGD ($415.68 USD) per child and pre-tertiary levels received $800 SGD ($604.62 USD) per child. The CEO Book Prizes included: one primary level prize of $600 SGD ($453.47 USD), one secondary level prize of $1,100 SGD ($831.36 USD) and three pre-tertiary level prizes valued at $1,600 SGD ($1,209.25 USD).